We will have an early start after breakfast and visit the small oasis town of Toconao with its historic church dating back to the 16th century. We continue from Toconao to the Salt Flats of the Atacama. The salt flats cover a vast area and at times are covered by water that is just a few centimeters in depth. The Salt Flats are famous for the 1000's of Flamingoes and views of the Andes in the distance. We will have lunch and then continue on to the lakes of Miscanti and Miñiques (4,220m). 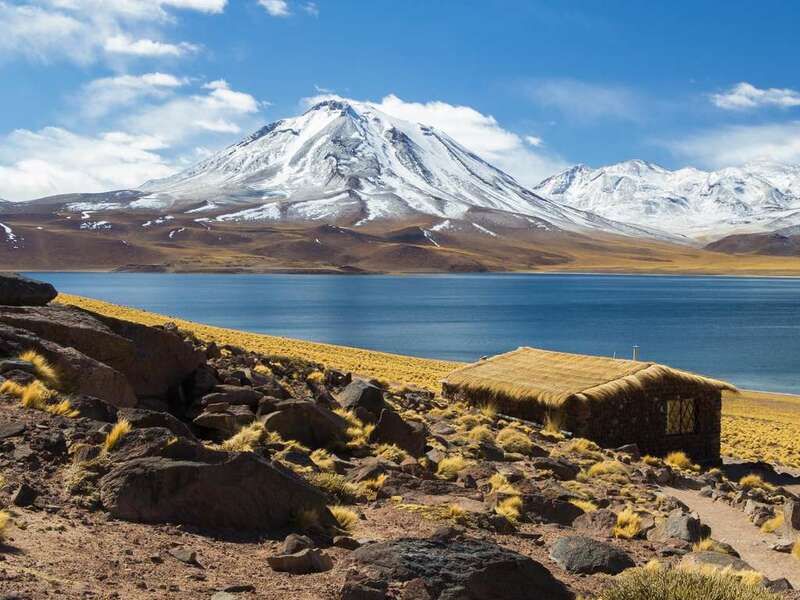 The deep blue lake of Miscanti is overshadowed by the giant peak of Cerro Miscanti (5622m / 18445ft). Tickets not included. Pay at the entrance of each park.